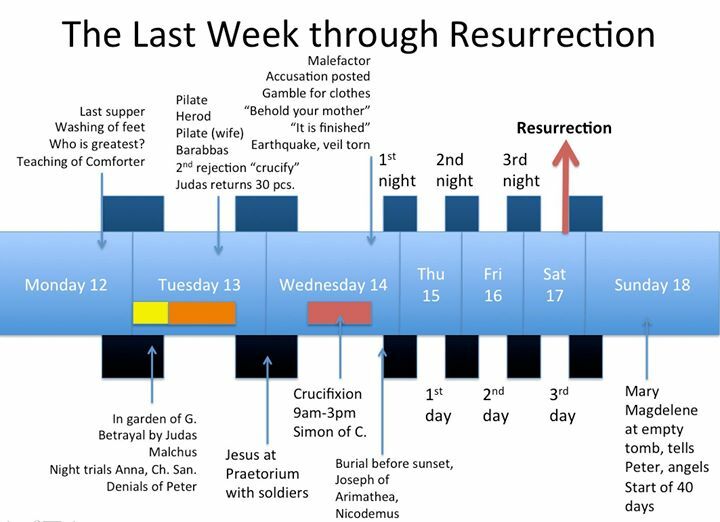 The crucifixion and the resurrection of Jesus is the focus of most Christians in the early spring of the northern hemisphere. In America and around the world. Shown by church attendance across the religious spectrum as it is the highest drawing event of the year. And yet, because of religious dogma, so much concerning this historic event goes unnoticed and/or misconceived by the vast majority because of the pagan traditions woven into "Christianity" by way of the conception of the Roman Catholic Church in the 4th century. Which they still carry on today as do all the Roman Catholic off-shoots we know as denominations. This is by design. And has been most successful at keeping people in the dark. So many go along with it even though they see the traditions don't make any sense. Many that go to their religious leadership with their questions are given answers that still don't make sense but are told to take it on "faith." Which is nothing more than them telling you they don't really know either but gives their pride something to hide behind. If you want answers to your questions concerning God and this life they are available. An accurate knowledge of the events leading to the crucifixion and resurrection is available when one lets God's Word speak for itself. And once realized gives one a much deeper appreciation for the sacrifice of God's only genetic son. Years before I was taught how scripture interprets itself, this section always bothered me. I couldn't reconcile this record in Luke with the error we're all taught. How could this account of those Jesus were crucified with differ from the other gospels? It appears to contradict the other three gospels in that, "The thieves also, which were crucified with him, cast the same in his teeth". And yet here in the following record, one of those being executed with him rebukes the other. We've all had the image of three crosses concerning the crucifixion (thanks to religion) and that's what leads us to confusion. Truth is, there were two crucified with him, then two more a little while later. Two malefactors were crucified with Jesus and two thieves later. This truth is found studying the bible following biblical research principles. God's Word does not contradict itself. All apparent contradictions lie either in our understanding or in translation. 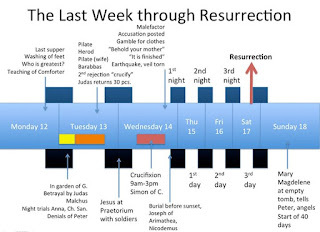 Comparing different records concerning the same event is known in biblical research as "scripture buildup" and normally adds much detail to the event recorded. The following is some of what is gleaned from God's Word using common sense and allowing God's Word to speak for itself. Jesus was resurrected on a sabbath day. Which is the last day of the week. God's Word stated in the Old Testament (recorded in the gospels, Matthew 12:39-41.) he would be dead for 3 days and 3 nights. Jesus didn't die on "Good Friday," He died in the middle of the week. Wednesday on our calendar. Also, the picture below accurately portrays how the Romans would crucify someone. The cross had been the symbol of Christianity since Constantine ordered that symbol be placed on the shields of his army in the 4th century and was as dominant in everybody's minds by the time the KJV was translated (1611) as it is today. This image was so dominant that the King James translators translated the Greek word "stauros" into the English word "cross", but in fact translates as an upright pale or stake; In late writers ... of the Roman instrument of crucifixion. Crucifixion was a horrible execution. Hanging with their arms above their heads made it impossible for the lungs to work and the condemned would have to push up from the nail driven through the feet. This is why the legs were broken near the end of the day. To cause immediate suffocation. What this section highlights to me today is the love and commitment Jesus had to reach out to the meek even though he was in terrible pain, bleeding out from the torture he had received and was having to push against the nail that was driven through his feet to lift himself up so he could breathe. Incredible! This section also has an issue of how the translators used punctuation improperly because of their wrong doctrine of going to heaven or hell immediately after death. Punctuation... as well as chapters and verses... were added by the King James translators and are void of any divine authority. In verse 43, for our language today, the comma should've been placed after the word "today" and should read, " Verily I say unto you today, thou shalt be with me in paradise." And Then There's This... "Why Hast Thou Forsaken Me?" The surviving text the King James translators were working from in the Gospels and the New Testament were written in ancient Greek. In a few cases Aramaic phrases were recorded in the ancient text such as here with "Eloi, Eloi, lama sabachthani." Transliterated from Aramaic to Greek to English. "Why hast thou forsaken me?" however makes no sense. It contradicts God's Word. There are promises all over God's Word that He is always with us, that He'll never forsake His people. Wouldn't that also include His only physical son that He promised to man thousands of years earlier? I contend this phrase was mishandled through the centuries and should have been transliterated to, "for this purpose was I reserved" or "for this purpose was I kept." It's very conceivable that Jesus, having remained faithful to do his Father's will to the point of enduring torture and execution realized most fully at his last moment of life in this realm that it was his death that would be the complete deliverance of God's people. Complete deliverance of this world! And its god! In today's language, which would fit much better with the remote context of The Word this could read, "This is the reason for my existence." To make a way where there was no way. To blaze a trail for God to man and for man to God. 38 And the veil of the temple was *rent in twain (*= tore in two) from the top to the bottom. Some misheard thinking Jesus was calling on Elijah for help but Jesus had already taught that "Elijah" had already come in the ministry of John the Baptist. (So if you've also felt no one listens to you concerning the gospel know this... You're in good company!) Verse 37 refers to his last words, "It is finished" or "It is completed." The veil of verse 38, the curtain that separated the people from the inner chamber of the temple of which represented God's presence and no one other than chosen priests could enter was torn, top to bottom, allowing all who choose direct access to God and God access to them. The murder of innocent blood was the ransom paid to allow people access to God. The perfect Passover sacrifice. To fulfill the Law of the O.T. To bring to fruition the mystery of this time in which we live today. To make it available for God to spiritually father those He called out before the foundation of the world. Had the devil spirit realm known this, that the death of the perfect Passover sacrifice was the catalyst of the Mystery... they... never... would've... crucified... Jesus. Make no mistake. It was the devil spirit realm, the "princes of this world" through religious leaders and Roman soldiers that tortured and murdered thee innocent blood. 26 For every time you eat this bread and drink this cup, you are [symbolically] proclaiming [the fact of] the Lord’s death until He comes [again]. 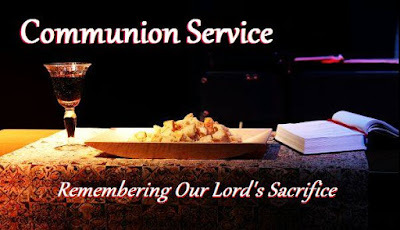 1 Corinthians 11:23 Many scholars believe this may be the first written description of the Lord’s Supper since this letter from Paul is dated earlier than any of the Gospels. Jesus was murdered by the devil spirit realm. And yet, he could've gotten down as he had "ten legions of angels" at his command. (And I wouldn't doubt they were standing by!) He stayed alive as long as he possibly could. But to be the Passover sacrifice in the fulfillment of the Law, he had to die between twelve noon and 3 pm. Which is when the Passover lamb was sacrificed in the Law administration. He gave up his life at "the ninth hour." 3 pm. All he had to do was quit pushing up from the stake in his feet. Jesus Christ is the focal point for all mankind to be saved from this evil world. It is out of thankfulness to God for the life of the Messiah, what he taught us, what he teaches us, what he went through for us, that we are to conduct our lives as God's children. To better ourselves towards the high calling to which all of God's people have been called by accurate study and application of God's Word. To bring others to the Household. It took the murder of innocent blood (even Pilate could find no reason for executing Jesus!) to tear down that which was separating us from God and God from us. It is Jesus Christ that made the new birth possible. It's Jesus Christ that brings us to and gives us citizenship in the kingdom of God. It is Jesus Christ (as shown in this video) who is the "Red Thread" that binds the whole Word of God together. Who is this Jesus Christ? The most amazingly, awesome, perfect treasure given from God to man. In God We Trust Life. It Isn't Fair Matthew 12:39-41 The Spiritual Competition: Attack!